‘Hoos stepping up to fill void left by Joe Harris, Akil Mitchell at UVA? The big question for UVA basketball coming into the 2014-2015 season had to do with who would step up to fill the voids left by the graduations of Joe Harris and Akil Mitchell. 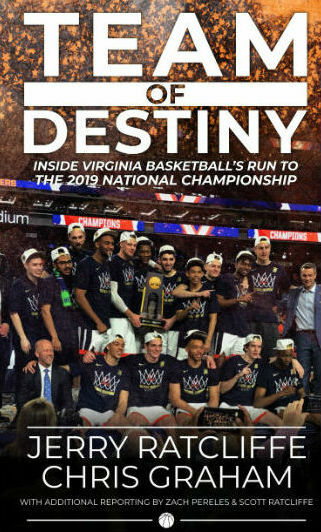 UVA basketball is coming off a season on the short list of the program’s best seasons ever: ACC regular-season and ACC Tournament championships, a #1 seed in the NCAA Tournament, a trip to the Sweet 16, 30 wins. UVa. senior forward Akil Mitchell talks with reporters after the #1 seed Cavs lost 61-59 to Michigan State in the Sweet 16 on March 28 in Madison Square Garden in New York. Tony Bennett has no chance of outdueling Tom Izzo. It’s a legacy thing: us UVa. types wouldn’t understand. UVa. basketball player Akil Mitchell talks with reporters after the Cavs’ 78-60 win over Memphis in the East Regional on Sunday in Raleigh, N.C.
Postgame notes and quotes from the press conferences with UVa, coach Tony Bennett, Coastal Carolina coach Cliff Ellis and players from both teams following #1 Virginia’s 70-59 win over CCU on Friday in the NCAA Tournament. Tony Bennett, Joe Harris, and Akil Mitchell talked with the media on Thursday, one day ahead of UVa’s second-round NCAA Tournament opener against Coastal Carolina. No. 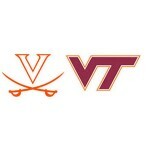 1 seed UVa. (28-6) will play No. 16 seed Coastal Carolina (21-12) in the second round of the NCAA Tournament on Friday, March 21. Tipoff at PNC Arena (19,700) is set for approximately 9:25 p.m.
Coach K, Mike Krzyzewski, seemed to have the upper hand. His star one-and-done forward, Jabari Parker, was eating UVa.’s lunch and making a run at dinner. With 5:50 to go, Joe Harris found Malcolm Brogdon on a pretty backdoor cut and pass for an easy layup that gave top seed UVa. a 55-53 lead over #3 seed Duke. Check out UVa.’s Top 3 blocks against Pitt. Darion Atkins, Akil Mitchell, and Justin Anderson all got in on the action. No. 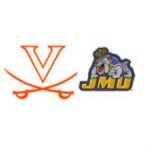 1 seed UVa. (27-6) will play No. 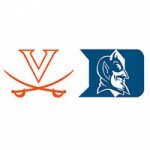 3 seed Duke (26-7) in the 61st annual ACC Tournament final on Sunday, March 16. Tipoff at Greensboro Coliseum (23,500) is set for 1 p.m. 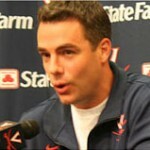 Audio from the postgame press conference with UVa. coach Tony Bennett and seniors Joe Harris and Akil Mitchell after the Cavs’ 51-48 win over Pitt in the ACC Tournament semifinals on Saturday in Greensboro, N.C.
“The Sign” by Ace of Base topped the Billboard Hot 100. “Seinfeld” was “Must-See TV,” and not yet on every channel in the universe on rerun. The year was 1994. The last time UVa. basketball was in an ACC Tournament final. Akil Mitchell talks with reporters after UVA’s 51-48 win over Pitt in the 2014 ACC Tournament semifinals Saturday at the Greensboro Coliseum. Top seed UVa. seemed ready to run away from #5 Pitt. It ended up being the Wahoo defense that sent the program to its first ACC Tournament final in 20 years. No. 1 seed UVa. (26-6) will play No. 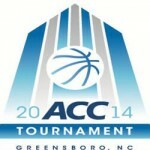 5 seed Pittsburgh (25-8) in the 61st Annual ACC Tournament semifinals on Saturday, March 15. Tipoff at Greensboro Coliseum (23,500) is set for 1 p.m. The ghosts of 1995. 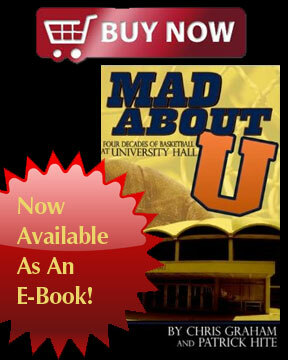 As every UVa. basketball fan alive knew all too well, that was the last time a Virginia team won a quarterfinal game in the ACC Tournament. UVa. basketball player Akil Mitchell talks with Augusta Free Press editor Chris Graham after the Cavs’ 64-51 win over Florida State in the ACC Tournament quarterfinals. UVa redshirt sophomore guard Malcolm Brogdon (Norcross, Ga.) was named to the 2013-14 Coaches All-Atlantic Coast Conference First Team and senior guard Joe Harris (Chelan, Wash.) was named to the Coaches All-ACC Second Team, announced Monday (March 10). #5 UVa. (25-5, 16-1 ACC) completes its ACC regular season at Maryland (16-14, 8-9 ACC) on Sunday, March 9. Tipoff at Comcast Center (17,950) is set for 12 p.m. Virginia clinched its sixth ACC regular-season title (second outright) and its second No. 1 seed for the ACC Tournament with its 75-56 win against Syracuse. The Cavaliers and Terrapins will meet for the final time in regular-season action as ACC opponents. UVa. locked up the #1 seed for the ACC tournament with a 75-56 win over Syracuse on Saturday. 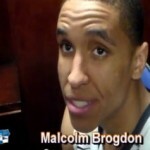 The Cavaliers were led by a Malcolm Brogdon, who finished with 19 points, 5 rebounds, and 5 assists. Akil Mitchell added 12 points and 9 rebounds. C.J. Fair and Tyler Ennis each had 13 points for the Orange. UVa. clinched its sixth ACC regular season title and its second outright ACC regular season title (1981). The Cavaliers’ 19-point margin of victory was the largest over a top-five opponent since an 86-66 win over No. 2 North Carolina on Feb. 25, 2001 at University Hall. No. 11 UVa. (24-5, 15-1 ACC) hosts No. 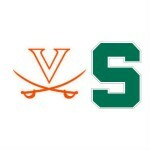 4/5 Syracuse (26-2, 13-2 ACC) in ACC action on Saturday, March 1. Tipoff at John Paul Jones Arena (14,593) is set for 4 p.m. Virginia can clinch its sixth ACC regular-season title (second outright) and its second No. 1 seed for the ACC Tournament with a win against Syracuse. 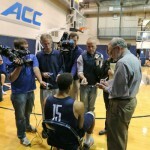 Interviews with UVa. players Akil Mitchell, London Perrantes and Malcolm Brogdon following Virginia’s 65-40 win over Miami on Feb. 26. 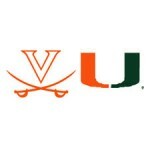 Miami made it interesting for a half, but #11 UVa. held the Hurricanes to four field goals in a dominating second half en route to posting a 65-4o win Wednesday in Charlottesville, Va.
#11 UVa. (23-5, 14-1 ACC) continues its three-game homestand against Miami (14-13, 5-9 ACC) on Wednesday, Feb. 26. Tipoff at John Paul Jones Arena (14,593) is set for 7 p.m.
UVa. won its school-record 14th ACC game of the season. UVa becomes the fifth school in ACC history to win 14 ACC games in a season (Duke, Maryland, Miami, North Carolina). Virginia pulled away in the 2nd half to beat Notre Dame 70-49 at home on Saturday. Malcolm Brogdon led the Cavaliers with 13 points, 7 rebounds, and 6 assists. Akil Mitchell added 15 points without missing a single field goal attempt. Pat Connaughton had 11 points for Notre Dame in the loss. #14 UVa. broke open a tight game with an extended 25-0 second-half run to vanquish Notre Dame, 70-49, on Saturday in Charlottesville, Va.
UVa. extended its win streak to 10 games, its first 10-game ACC win streak since 1981-82. The Cavaliers posted its school record seventh ACC road win. Georgia Tech was a tough out, but #20 UVa. held the Yellow Jackets without a field goal for the final 9:52 to fuel a game-ending 22-1 run in posting a 64-45 win Saturday in Atlanta. #20 UVa. jumped out to a 20-5 lead in the opening 10 minutes, then coasted, perhaps a bit too much, in defeating Boston College 77-67 Wednesday night in Charlottesville, Va.
No. 20/21 UVa. (17-5, 8-1 ACC) hosts Boston College (6-15, 2-6 ACC) in ACC action on Wednesday, Feb. 5. Tipoff at John Paul Jones Arena (14,593) is set for 7 p.m.
Malcolm Brogdon drained a three-pointer with four-tenths of a second left to lift UVa. to a 48-45 win at #18 Pitt Sunday afternoon. The difference between the middling 9-4 non-conference UVa. basketball team and the team that is 5-1 in the ACC is clear: London Perrantes. UVa. broke open a close game with a 12-2 run to close out the first half, and blasted reeling North Carolina 76-61 in Charlottesville Monday night. 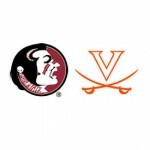 Virginia (12-5, 3-1 ACC) begins its three-game homestand against Florida State (12-4, 3-1 ACC) on Saturday, Jan. 18. Tipoff at John Paul Jones Arena (14,593) is set for 12 p.m.